Why should agriculture care about social media tools such as Facebook, Twitter and YouTube? It’s really quite simple. Because the rest of the universe does and there certainly is a face being put on the agrifood business. If you’re not at the table, you can’t be a part of constructing that face – nor can you counter the misinformation campaigns. My research clearly shows HSUS, PETA, Sierra Club, Greenpeace and other activists working against ag are growing their communities nearly 40-fold in a year’s time. I believe we have a responsibility to provide perspective to counter the misinformation and be a voice in the conversation. Food is an extremely hot issue – and it’s time for agriculture to leverage that through social media leadership to influence public opinion, rather than react to rhetoric. How are you willing to do that? It’s time to add a new tool! In conversations with companies about “Groundswell,” half of the questions were about how to implement a social strategy, but the other half were about a great discomfort with the sense that they were “out of control.” I also saw executives struggling with the whole concept of sharing and engaging. And what I found most interesting was the repeated question: “How open do I need to be?” I saw that the adoption of social technologies was causing people in leadership positions to rethink their entire perspective on power — the source and use of it. Building online communities isn’t easy, but the potential payoff for brands can be enormous, writes Richard Millington. The common interest that unites a community isn’t actually all that important, he notes. Instead community managers need to create a space that facilitates communication and interpersonal bonding, he writes. Successful online community building is connecting a group of people online and making them feel a part of something special. This ‘something special’ element is the overlooked bit. You do this by identifying something people believe in and inviting them to talk to each other. You don’t create the interest, you create the platform that epitomizes it. If you want to increase your network, boost your productivity and develop your business you can achieve this by getting familiar with LinkedIn (LI) and using this in your everyday interactions. A good friend of mine asked me for some tips on how to use LinkedIn. I sent him a long email and figure that I should share my thoughts on this with all of you. I’m not an investor in LinkedIn, but think it’s a great service. Here’s the scoop. Technology has made it simple these days to discover information on any number of subjects. Questions about agriculture? Well, some farmers in Nebraska are making it easy to go right to the source. While many individuals use Twitter to have conversations with friends and meet new people, they also use Twitter to hold regular discussions on industry and business related topics with peers. 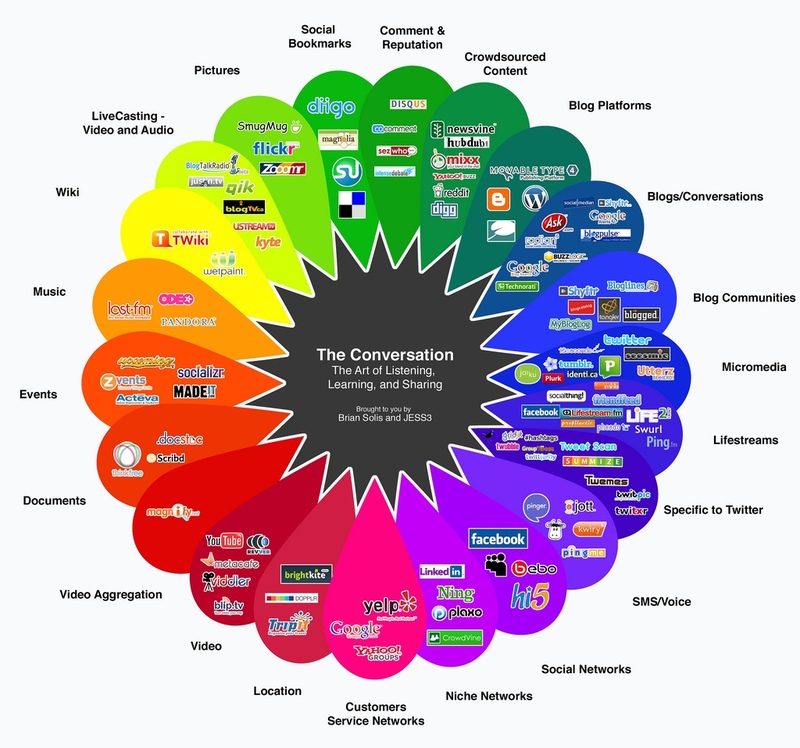 Twitter users refer to these peer-to-peer conversations as chats. Farmer led not-for-profit designed to created connected communities of agvocates. Agriculture’s chance to be proactive and work together! Still haven’t gone in and adjusted those privacy settings on Facebook? Watch this Gettin’ Geeky episode to understand what to do. The Fortune 500’s use of blogs, online video, and podcasts continues to increase, but Twitter was the social media channel of choice in 2009. This was among the key findings of the study, “The Fortune 500 and Social Media: A Longitudinal Study of Blogging and Twitter Usage by America’s Largest Companies,” conducted by Dr. Nora Ganim Barnes, Ph.D., Senior Fellow and Research Chair of the Society for New Communications Research and Chancellor Professor of Marketing at the University of Massachusetts Dartmouth and Eric Mattson, CEO of Financial Insite Inc., a Seattle-based research firm. You’re still scratching your head over the Twitterverse, but you know there’s opportunity for your operation. You have decided to try out Twitter, even though these 140-characters seem like a waste of time. What now? I’d suggest you spend 15 minutes a day for three weeks to learn the tool and develop habits to utilize social media as a part of your farm operation. Bloggerwave Inc. (“Bloggerwave”) (OTCBB: BLGW), a global leader in commercial blogging, today declared that The Nielsen Company’s recently released report on social media use has huge implications for Bloggerwave, its shareholders and clients, and Internet users worldwide. According to the report, published on NielsenWire on January 22, 2010, time spent on social networking sites has increased from 3 hours per month to 5.5 hours per month in the last year alone, representing a staggering 82% increase in the use of social media. Two and a half years ago, Charlene Li and I introduced Social Technographics, a way to analyze your market’s social technology behavior. Social Technographics was carefully constructed, not as a segmentation, but as a profile (that is, the groups overlap). That’s because the actual data told me that people participate in multiple behaviors, and not everyone at a higher level on the ladder actually does everything in the lower rungs. Twitter. It’s likely to be voted most likely to leave you scratching your head. After all, how much can you really say in 140 characters? And what on earth are all these weird twists on words, like Tweets, Twubs, Re-tweets, Tweeps and Tweet-ups? Isn’t all just “noise” – and who has time to worry about what some celebrity had for lunch? The web is filled with social networks: We have Twitter for meeting new people, Facebook for old college buddies, and Bebo for those of us who don’t want to hang out with the mainstream. Those social networks are rarely viewed as corporate services — they’re relaxing at the end of a long workday, not playgrounds for more business activity. But I would argue that social networks provide value to a business person on several levels, whether it be for those furiously working each day in a cubicle or for others closing big deals on the golf course. Harvest is a season filled with measurements of a farmer’s success. Agriculture needs to look at yields in areas beyond the combines and choppers. One of those needing yield improvement is consumer understanding of agriculture. I’d encourage you to look at the millions of opportunities in social media (Twitter, Facebook, YouTube, LinkedIn, Ning, et al) as a critical tool in improving perception measurements about the agrifood business. Why? Brand loyalists don’t just buy your product and pledge allegiance to your brand, they’ll also help you market it to others and grow your influence even when you’re not aware of it. Having an army of brand loyalists will also help you refine your product or service through customer feedback, and in turn, enhance customer satisfaction and boost brand loyalty. I can remember when I first thought seriously about Twitter. Last March, I was at the SXSW conference, a conclave in Austin, Tex., where technology, media and music are mashed up and re-imagined, and, not so coincidentally, where Twitter first rolled out in 2007. As someone who was oversubscribed on Facebook, overwhelmed by the computer-generated RSS feeds of news that came flying at me, and swamped by incoming e-mail messages, the last thing I wanted was one more Web-borne intrusion into my life. I’ve seen enough blogs on twitter’s top hashtags or topics for 2009 to never want to see another. However, I couldn’t help but notice that agriculture seems to get left off the list! Fine then (as a friend of mine would say)! I’ll just make my own list and I’ll open it up for discussion & debate. I may have missed something! Ever had a cow lick your video camera? Wonder why a farmer tweets? Want to know how the agricultural community is REALLY using tools such as Twitter, Facebook and blogs? Take a look at any of these quick videos on the Cause Matters Corp. Facebook Fan page – I can’t say it any better than these farmers and agribusiness folks do. Great list of agricultural people on Twitter, orchestrated by three family farmers. Social media is all about building relationships, a key component in Ohio Farm Bureau’s mission to create a partnership between farmers and consumers. Ohio Farm Bureau is entering the world of social media on behalf of Ohio’s farmers with a goal to share the news and views of the honest and hard-working individuals who feed the world and to give the average consumer, who is multiple generations removed from the farm, an inside look into the farming way of life. I woke up a little cranky today. My alarm went off (which is actually my Blackberry, thank you) and I immediately checked Twitter to see what everyone was talking about. And again, someone had said something stupid and the mob was lining up to throw things, cause a ruckus and show how smart they were for knowing better. I’m not going to lie, some mornings the drama and personal brands of the industry affect me more than others. Today was one of those mornings. How else can we say it: Unless you’ve been living under a rock, you’ve probably heard of Twitter, Facebook and LinkedIn as tools to promote your services and products online. According to a recent survey of 148 private companies by the University of Massachusetts Dartmouth Center for Marketing Research, 43% say social media is “very important” to their business and marketing strategy, 52% are tweeting and 45% are blogging. More research has added weight to the assertion that social network users are receptive to brand marketing messages in their various social environments and are happy to recommend products or services themselves. This weekly streaming conversation has drawn nearly 1000 participants from four continents. AgChat is a moderated conversation for people interested in the business of raising food, feed, fuel and fiber. 100-125 people respond to moderated questions, sending out 1000+ tweets over two hours each Tuesday night during this . Fast-paced and thought provoking conversation. It’s like your local coffee shop or grain elevator, only virtual. Learn more from the #agchat FAQs. As a company, Whole Foods has impressively embraced social media more than most, gathering over 1.2 million followers on Twitter and 123,000 fans on Facebook in the process. While it is easy to understand why a relatively young company or one started by a tech-savvy founder would so completely embrace social media communication tools, it is quite a bit more remarkable for an almost 30-year-old established brick and mortar company with roughly 50,000 employees and over 270 stores worldwide to have done so. Questioning why an organization should be a part of Twitter? Today I sent out a tweet (a 140 character-length message) to my community of 1000+ on Twitter. Their responses were inspiring, so I wanted share these examples with you to help more people in agriculture understand the business value of Twitter. And, most importantly, encourage you to jump on board if you’re not already a part of the Twitterverse! Tips on the necessity of measuring impact through social media and tools to help you. Provided by a family farmer with a background in precision agriculture. You’ve heard about Twitter–that curious, strangely addictive social-networking technology that facilitates torrents of truncated messages among millions of users. You might even know your hashtags from your re-tweets. But how can you make money with it? Forbes canvassed scads of businesses and pricey social-networking gurus looking for honest answers. Admittedly, we were skeptical. After all, how much can you accomplish in 140 characters or less? One of the greatest personal advantages to social media tools such as Facebook, Twitter, Linkedin and YouTube is the ability to really connect with people, rather than just see them when I’m speaking. Relationships, built through shared experiences, have been growing through hundreds of conversations online. A family beef and grain farmer in Ohio explains how this has helped him speak out more effectively. For companies, resistance to social media is futile. Millions of people are creating content for the social Web. Your competitors are already there. Your customers have been there for a long time. If your business isn’t putting itself out there, it ought to be. But before you take the plunge, bear in mind the many myths that surround social media. Randy Curless of Liberty Swine Farm in northern Indiana is a family farmer who’s not terribly comfortable with the microphone, but has learned to effectively speak out to tell agriculture’s story. Randy talks with Michele Payn-Knoper, professional agricultural speaker & principal of Cause Matters Corp., about how social media has helped him educate people. He also shares his great success on Facebook, where you can learn more about his family farm. Randy and his family have a great message to share on where your food comes from, so listen up! Liz Woodruff talks about the first Indiana Livestock, Grain and Forage Forum – as well as the value of social media to agricultural organizations. She shares her experiences from building the Indiana Dairy social media hub with Michele Payn-Knoper of Cause Matters Corp. Liz also gives some great tips for new social media users, too. Agribusiness Values Social MediaCertified Speaking Professional Michele Payn-Knoper of Cause Matters Corp. talks with Brent Pohlman of Midwest Labs about new media use for agribusiness. Brent shares examples of how social media tools such as Twitter and Facebook have helped him. Listen and gather insight about ag’s use of SM, as well as expectations of what’s next in new media. Why Does a Farmer Tweet?Nebraska corn and soybean farmer discusses the bottom line value of Twitter to his corn and soybean farm with Michele Payn-Knoper. Brandon Hunnicutt, president of the Nebraska Corn Growers Association, shares why he tweets, how it helps his operation and the type of information that’s helped him. Nebraska Farm Bureau Discussed the Social Media Learning CurveCheryl Stubbendieck talks social media for agriculturists with Certified Speaking Professional Michele Payn-Knoper. Cheryl talks about her experience, some of the tools she recommends and the value of tools such as Twitter & Facebook. Dairy Goddess Describes Video BloggingBarbara Martin, a dairy woman from California, talks with Michele about her adventures into blogging – and video blogging. Barbara talks about why it’s important for farmers to take these kinds of steps and what she’s learned about social media. If you’re interested in helping others understand the value of social media as a tool for agricultural advocacy leadership, Michele offers “Farming Your Online Community” and “Twitter Techniques for Ag Tweeps & Tweets.” These are available as conference workshops or as a webinar. She also works with select agricultural organizations to develop a social media strategy – contact her to learn more. Great resource link. Thanks for the post. Great post Michele! There may not be an industry better suited for using social media than those in the ag/food industry. I’ll be passing this on to others and referring back to it myself. A goldmine of great information. Keep up the good work!